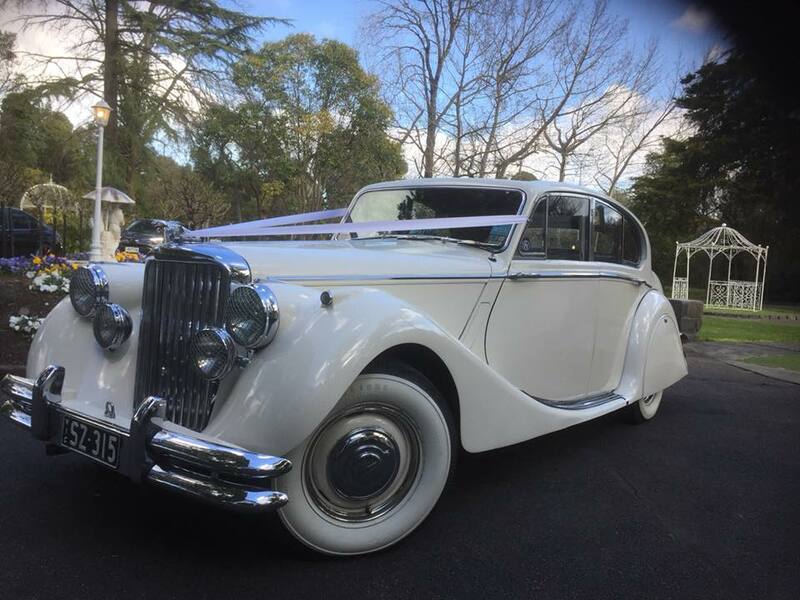 Experience the luxury of a vintage Jaguar through our classic wedding car hire options in Melbourne. You can enjoy the moments you share with your wedding party, making the journey to the first day of the rest of your lives. With classic wedding car hire Melbourne is there to be explored. Visualising the feeling of luxury that at Jaguar provides is a simple task – a freshly buffed exterior sparkling under the sun, a curved sloping body design, silver trim lining the windows and doors, chrome wheels that reflect its surroundings, and a rich leather lining on the interior from floor to ceiling. Classic wedding car hire Melbourne doesn’t get any better than this! Add to this the sound of the engine humming to its own tune from the impeccable European design – all while heads are turning to watch the glamorous vehicle glide through the streets. It all sounds like a dream. Enjoying the Jaguar style is something that comes easy to many – a classical design with elegance and a luxury feel, what’s not to enjoy. Many of our newlywed couples are a testimate to the level of service that we provide on your special day — just take a look Alica and Anour’s special day. To make sure that Alicia and Anour’s day was one to last a lifetime, the team at JC Jags custom-tailored a day specifically for the soon-to-be newlyweds. From the model of Jaguar for both bridal and groom parties, through to the style of service offered to and from the ceremony – it made an already exciting and memorable occasion into one that was relaxing and fun, all at the same time. 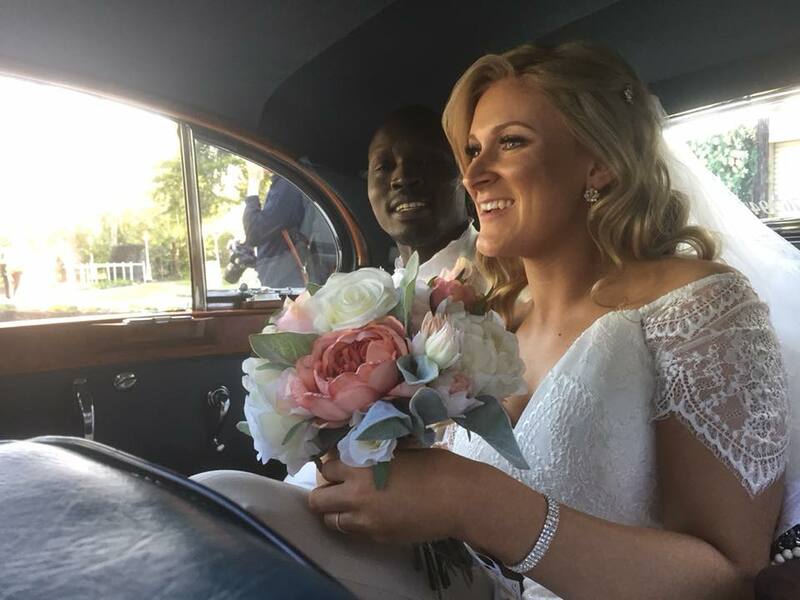 Here at JC Jags, we have the best classic wedding car hire Melbourne can offer, ensuring that you can experience an element of luxury for your big day – wherever it may take you. Whether it be a city central modern wedding location, entering the rustic gates to a traditional church, or driving through rolling hills to a vineyard wedding – a Jaguar offers elegance, status, and design to your special day – guaranteed to have you relaxed in style as you are chauffeured to your destination. With leather interior seats bringing comfort to the drive, a personal driver managing all aspects of your travel plan, and a sparkling interior to bring charm and elegance to your day – you can expect to be treated to an experience never to forget with your wedding party joining you along the way. Our classic wedding car hire in Melbourne is known for the poise and class provided to every bride and groom on their special day. Every aspect of your travel to and from the ceremony is managed by our team of drivers, so you can look forward to pure relaxation and happiness as you walk into the next chapter of your life as husband and wife. When thinking about your special wedding day, think not only about how you want the day to be planned out, but also how you want to feel while experiencing andliving each moment. Live and breathe elegance and relaxation while our drivers take care of your entire travel requirements – all while you enjoy experiencing the moment with your wedding party, making the journey to the first day of the rest of your lives. Choose the service that caters for it all – offering classic wedding care hire in Melbourne. Call to book your special day with one of our experienced chauffeurs at JC Jags today.